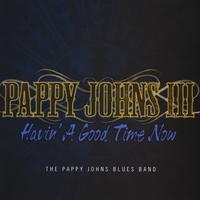 The PAPPY JOHNS BAND III are long time friends and brothers of the blues. The core players of the band, Oren Doxtator and Don Powless have been playing together for 25 years. Their two previous award winning CD's titled "Blame it on Monday" & "Full Circle" were recorded with Faron Johns and Murray Porter. They have now added the services of an outstanding young guartist, vocalist and songwriter, Josh Miller. The band has also been blessed with the talents of well-known keyboardist and songwriter John Lee. They are 5 time award winners of the Canadian Aboriginal Music Awards, JUNO Award Nominees and Indian Summer Music Award Nominees. The Pappy Johns Band has performed across Canada, the U.S and Europe.